Why do airports need to invest in business aviation? 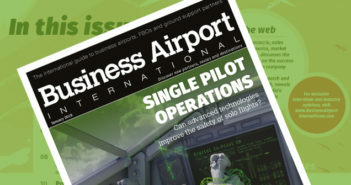 Investing in general as well as business aviation facilities will yield higher, more lucrative traffic, and could help turn an airport in to a business aviation destination, reports Kathryn B Creedy. Trevor Douce, International Aerospace Business Director at Bureau Veritas, discusses the recent update of the AS9100 standard, and the benefits and timelines businesses need to know. Alex Berry has set up a consultancy firm to help business aviation companies drive sales and encourage repeat customers. So where is the industry going wrong?